Fr Joseph Tran is understood to have taken his own life last month amidst a claim of child sexual abuse. 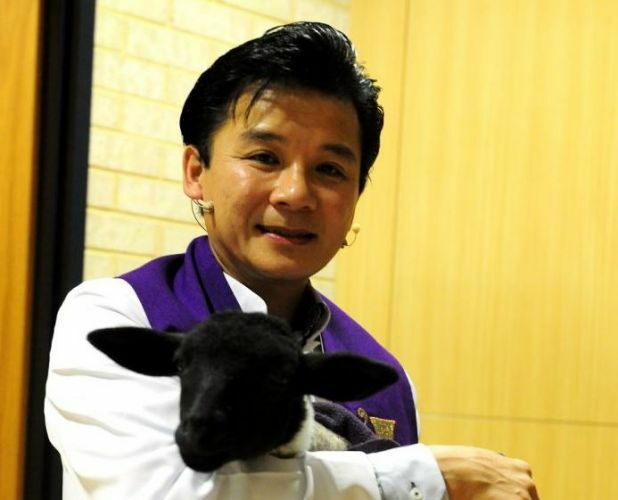 RENALD Anthony was having a coffee with his friend and fellow priest Joseph Tran. As Fr Anthony recalled in a homily at Fr Tran’s funeral on Saturday morning, they would catch up to swap notes after they had worked together at the Catholic parish in Craigie. In the Mullaloo café the subject turned to death. “I said Fr Joe ‘if the time comes for me to say goodbye, can you make sure that you do my funeral’,” Fr Anthony said. “He smiled and said in return ‘no, brother if something happens to me, maybe you can look after me’. I thought he was joking but it was true. 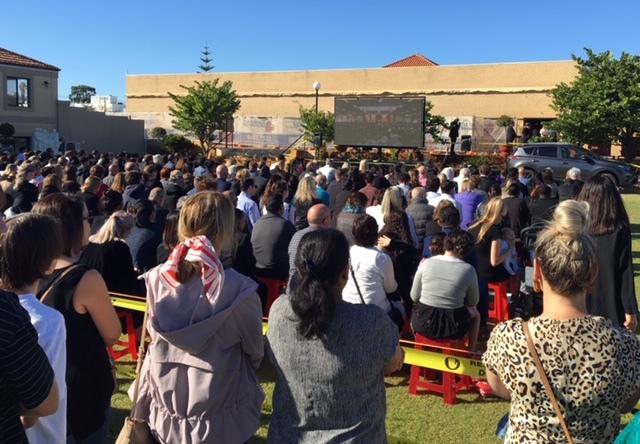 The funeral mass for Fr Joseph Tran was packed, with a crowd of about 1000 people watching on a big screen outside. Fr Anthony recalled the story after explaining to the packed funeral at the Vietnamese Catholic church in Westminster that he had been asked to do the service by Fr Tran’s family after the hard-working priest’s shock death last month. Why me, Fr Anthony, now based in Kalgoorlie, had asked the family last week. We see Father Tran in you, they’d replied, causing the young priest to reflect on his mentor and their friendship which started when he was appointed an assistant priest at Craigie more than four years ago. “I had the privilege and honour to work with him as a team at Our Lady of the Mission parish in Craigie,” Fr Anthony said. “The day I arrived at the parish there was a huge noise in the corridor. One end was Fr Joe, the other end was the housekeeper yelling at each other. 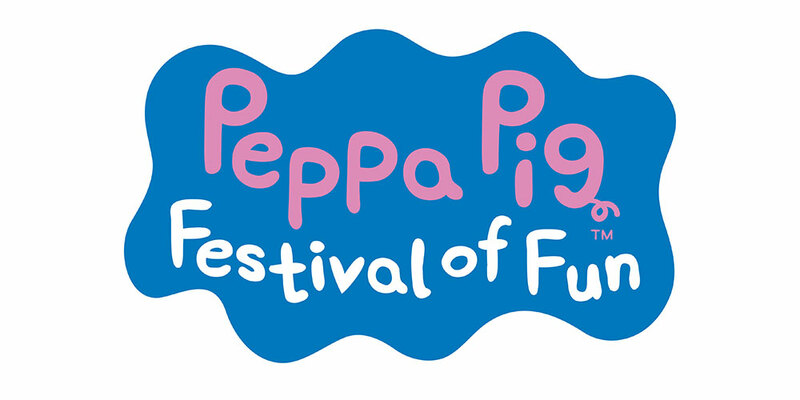 I thought my God what am I signing up for. “Fr Joe welcomed me… and after a while came to me with a bunch of keys and said this is your key, the parish is yours, I’m going out to do a funeral to Indonesia and off he went. His more experienced parish priest would give him many opportunities and at times would “throw me in the deep end” only to “appreciate and affirm me after I had done what he’d asked”. “He gave his family to me, he loved his family, he loved his mum and dad, his siblings, his nieces and nephews,” he said. Fr Anthony spoke of his generosity to him and the people of the parish. When “we all heard the news” of Fr Tran’s death, the hope was that it was not him before coming to “accept the fact he’s no more”. 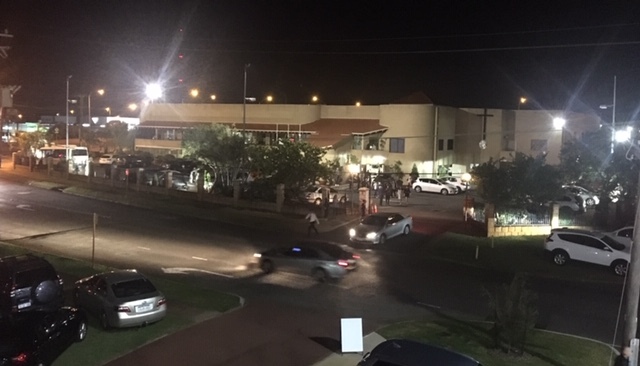 His homily came after introductory words from Archbishop Timothy Costelloe and a vigil mass almost entirely in Vietnamese Friday night. Archbishop Costelloe thanked everyone for attending on behalf of the Tran family. “I thank you all for your presence and your support for them in this time of great suffering,” he said. The cortege left Westminster for a burial service attended by a big crowd at Karrakatta Cemetery. The sudden and tragic death of Fr Joseph Tran has shocked and saddened us all. In the midst of all the conflicting thoughts and emotions which we at this time carry in our minds and in our hearts, I want to ask you as your Archbishop as we begin our mass this morning to remember who you are, to remember who we are. We are a community of faith. A community of believers. A community built on and guided by our Catholic tradition. For every single one of us here this morning this funeral mass is before all else a time of prayer. We are here to entrust Fr Joseph into the hands of our loving and compassionate saviour. And to pray that God will lead Fr Joe into the fullness of eternal life. We know that we never gather to entrust a sinless person into God’s merciful care because none of us is sinless. We are part of a sinful and broken people. But God’s mercy is without limit. And so in faith here this morning we simply gather to pray. We do so in the presence of Fr Joseph’s mother and family. They are in profound grief and distress. And our presence here is a sign of our deep desire and our determination to offer them whatever support we can. And so Mrs Tran as we pray for your son Fr Joe, we also pray for you, we pray for your children and your grandchildren and for all the other members of your family. We pray too for the vast numbers of people many of whom are here who have been shocked and dismayed by the terrible death of Fr Joe. So many people have been helped by Fr Joe in ways that only they know. And so trying to understand what has happened is difficult for us all but we pray for each other, for all those who are shocked and grieving and hurt and wondering, we entrust all of us to God. They queued along Reid Highway. Edging closer to the Westminster turnoff for the Vietnamese Catholic Community Centre and the vigil mass for their priest Fr Joseph Tran. They lined up again after the service to file past his open coffin and offer their condolences to his mother, siblings and extended family. 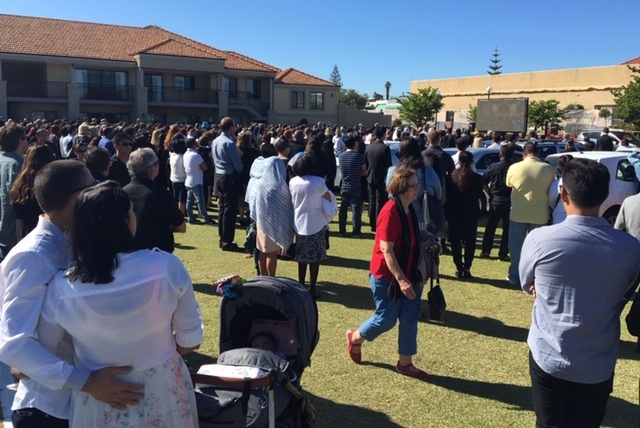 In between there were tears as parishioners from Bateman, Whitford and Armadale packed the place to mourn alongside Vietnamese Catholics. In their 40 years in Perth, many of whom had fled Vietnam like Fr Tran’s family, they had never had one of their Vietnamese priests die, let alone in the circumstances of the 49-year-old’s death. A 6.30pm vigil mass was held at the Vietnamese Catholic Community Centre in Westminster Friday night. Friend and parish priest Fr Huynh Nguyen presided over the Vietnamese mass, his voice catching in the early prayers. The head of the Vietnamese community said how the Tran family’s sorrow was theirs too. This was not a farewell, he said, but a thanking of God for the life of Fr Tran and his ministry that had brought so many people together. One of Fr Tran’s brothers said “on behalf of my mother and the rest of the family we truly appreciate your prayers and time to attend the vigil mass tonight for the repose of the soul of Fr Joseph”. In “this sorrowful time” people’s condolences and support had brought “consolation after the loss of our most beloved son, brother and uncle”. “Words cannot express enough our gratitude to you all for condolences, love and support during this difficult time. “Please accept our most heartfelt thanks from our mother and our family. A video of his life in pictures, including early days in Perth and at university, played to the Celine Dion-Andrea Bocelli rendition of The Prayer.